It’s officially the summer movie season, even if summer doesn’t actually start for another month. 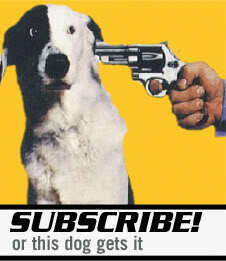 And that means that we’re all going to be inundated with big budget blockbuster films. No genre gobbles up a budget quite like superhero movies, and they’re going to be all over the place. The Avengers is already shredding the box office. Later this summer, we’ll finally see The Dark Knight Rises. Spider-Man will get a re-boot in a few weeks. And it won’t stop there. Sequels are already in production for Thor, Captain America, and a third Iron Man film in the next few years. Superman is slated to come back next summer. 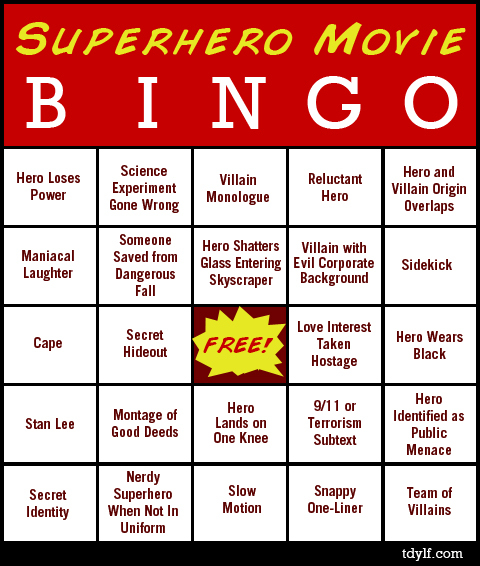 I’ve decided to give you all an extra layer of enjoyment with these superhero films with a superhero movie bingo card. Hahaha brilliant! I absolutely love this! As tired as I honestly am of superhero movies, this brings some brightness and originality to the genre. Well done! Won’t it annoy fellow moviegoers when I start shouting bingo? Not if everyone gets a card upon entrance. If I knew how to do such things, I’d love to squish together a bunch of clips of just superheroes landing on one knee. I really wish I could have taken this when I saw the Avengers. I am sure at some point this summer I will see another superhero movie. I will have to remember this post. It seems like Spider-Man should offer you a bingo within an hour of the film.